Silver is turning into the favourite colour of Cornish firm of chartered building surveyors. 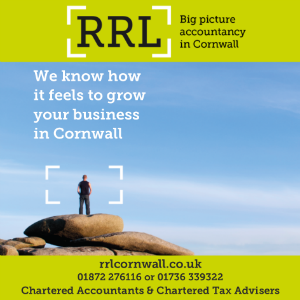 Currently celebrating its silver jubilee, RTP Surveyors, which has offices in Falmouth and Bodmin, has just been awarded Silver Investors in People (IIP) status. The company, one of only 55 organisations in the south west to have achieved Silver, was praised for its work to involve and empower its team. RTP director, Richard Collett, said: “We’re all extremely proud to have gained Silver status for IIP, especially in our silver jubilee year. “We first achieved IIP in 2005 and this is a sign that RTP works towards a nationally recognised standard in seeking to help staff progress and develop, acknowledging the high value of all staff in the organisation.